Most people don’t think twice about a staircase — but you know better. A central staircase is a beautiful room accent, and it’s one of the few opportunities to let your love of ornate design to truly shine. When the time comes to renovate your beloved wooden staircase, you want to do it right — so explore these 6 unique staircase remodel ideas to get you started on the path to a gorgeous staircase renovation. 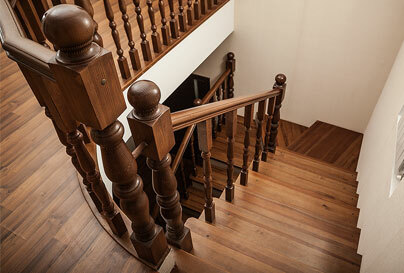 At TurnTech, we craft one-of-a-kind custom wooden pieces used in home interior design, including staircases remodels. We’ve seen these staircase renovation ideas bring a staircase installation back to its former glory — or transform the space entirely. Get inspired and see what we can build for you! 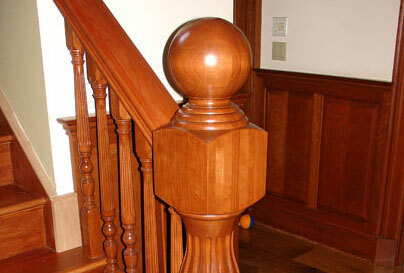 The spindles that reach between the stair tread and the rail pose a huge opportunity when renovating your staircase. If any of the spindles are cracked or broken from decades of use, replacing them is one of the first priorities of a staircase remodel. At TurnTech, we can exactly match the wood species, shape, taper, and carving of your spindles — all you need to do is send us a sample spindle. Newel posts are the large posts at the top and bottom of the staircase that anchor the handrail rail to the stairs themselves. These prominent posts showcase your home’s character — so it’s natural that one of the most popular staircase remodel ideas starts with upgrading these. Try a new shape or carving style to infuse a strong ornamental pattern into the project. 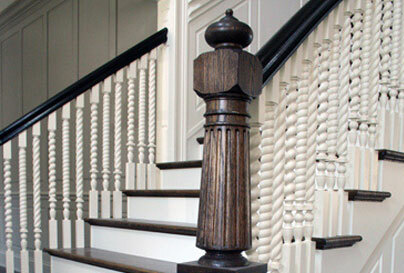 See our most popular Newel posts and remember we can always custom carve something for your staircase! Color is the first place to look when making a revolutionary change. Repainting your staircase a bold new color can shift the feel of the entire room. For a more subtle change, re-staining the wood a darker or lighter shade can have an impact as well. 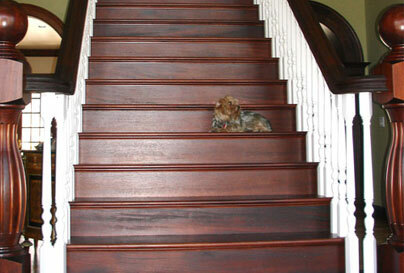 Homeowners often choose to re-stain their staircases to match newly installed hardwood flooring. A popular staircase remodel idea for DIY-passionate homeowners, our custom wooden balls make for a regal-feeling accent — or the perfect injection of color. Painted or stained, they’re a feature that will absolutely earn attention. 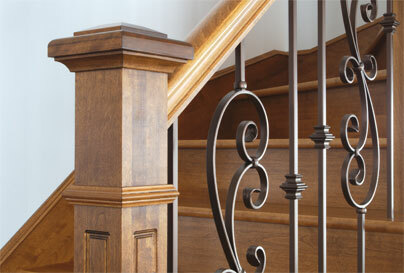 Plus, adding custom ball accents to your staircase is one of the most budget-priced stair upgrades. The handrail that runs along your staircase is a focal point of the stairway as a whole — and it’s one of the parts that shows age the most. Countless hands run up and down the railing over the course of the staircase’s lifetime, which can cause it to look worn and old. While repainting is certainly an option, building a new handrail with an intricate pattern adds a whole new character to your historic staircase. See all of our hand rail options. Our staircase renovation ideas include anything and everything — even the stairs themselves. Replacing old, worn, or no longer matching stair treads with a gorgeous new option brings another intricate touches to your project. Homeowners often choose to replace the stair treads after replacing their flooring to ensure they both match the room’s décor. TurnTech partners with homeowners for so many staircase renovations as we are one of the few woodworking companies that can match and carve extremely intricate patterns. 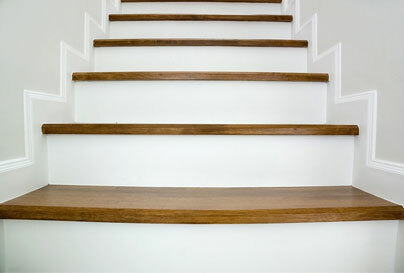 This skill is important for any interior remodeling but particularly for staircases. Without this skillset, if only one of your spindles were broken or if a Newell post was damaged, you’d need to replace all of them to maintain consistency. In addition, our custom carving ability allows you to dream or design any pattern, no matter how complex. The first step to bringing your staircase remodel ideas to life is by contacting us — or by putting us in touch with your trusted interior contractor. Our woodcrafters will work to understand your project and your specific needs. Your staircase will look-one-of-a-kind — enough to make anyone pay attention.